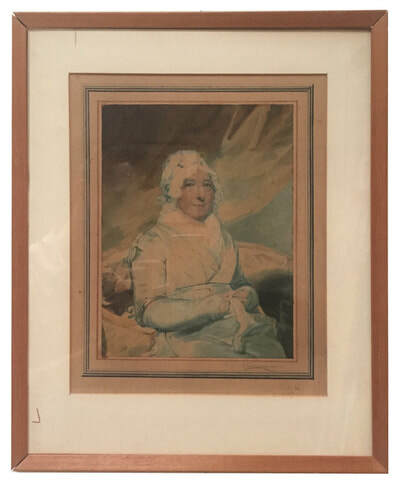 Over the centuries families have always treasured representations of their loved ones, and people have been intrigued and collected portraits of the famous and infamous. Before cameras allowed the mechanical and digital representation of people it was the artist job to provide these likenesses. The artists could portray peoples faces using silhouette profiles, which represented an outline of the person, watercolours or oils, to provide a more representational effect, or even the three dimensionality provided by the use of wax, terracotta, porcelain or base metals. 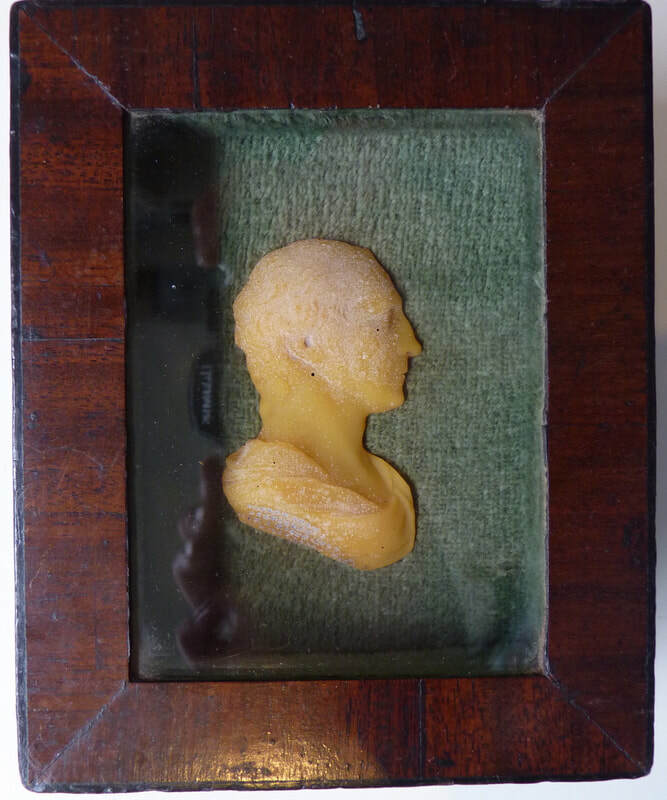 Wax, inscribed to base and in original frame. 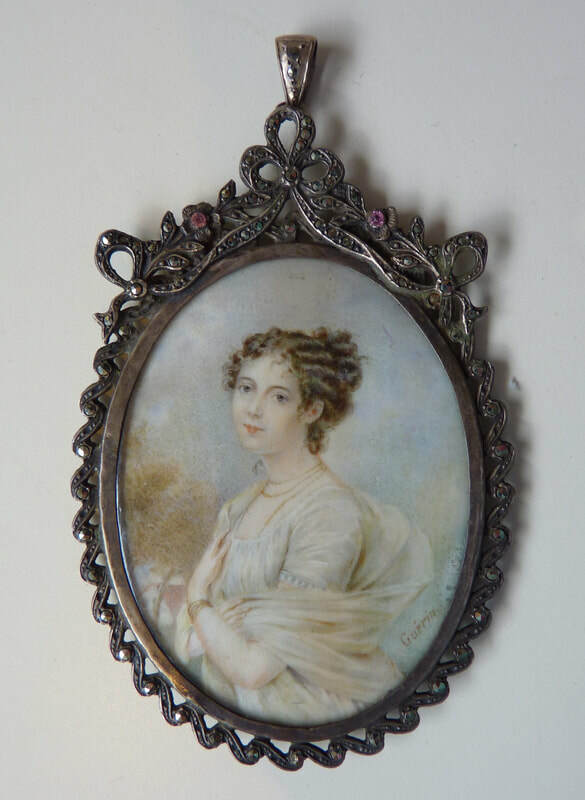 A fine pair of French miniatures on ivory of a husband and wife. 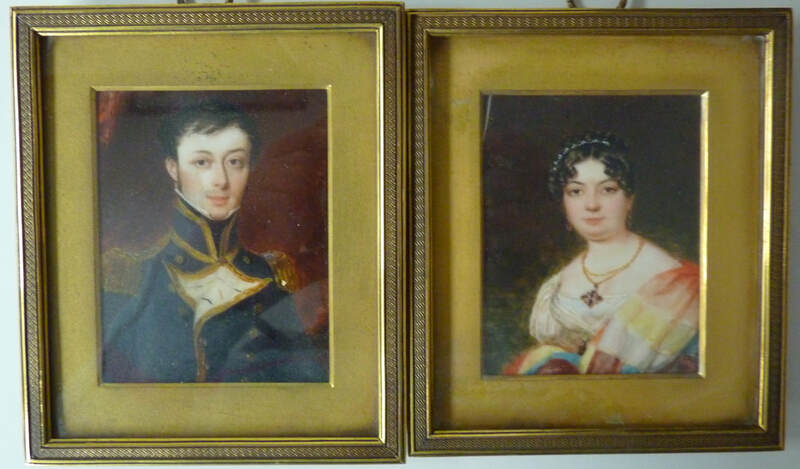 The husband in military uniform and signed and dated "Mai 1823" and the wife signed and dated "Jan 1824". 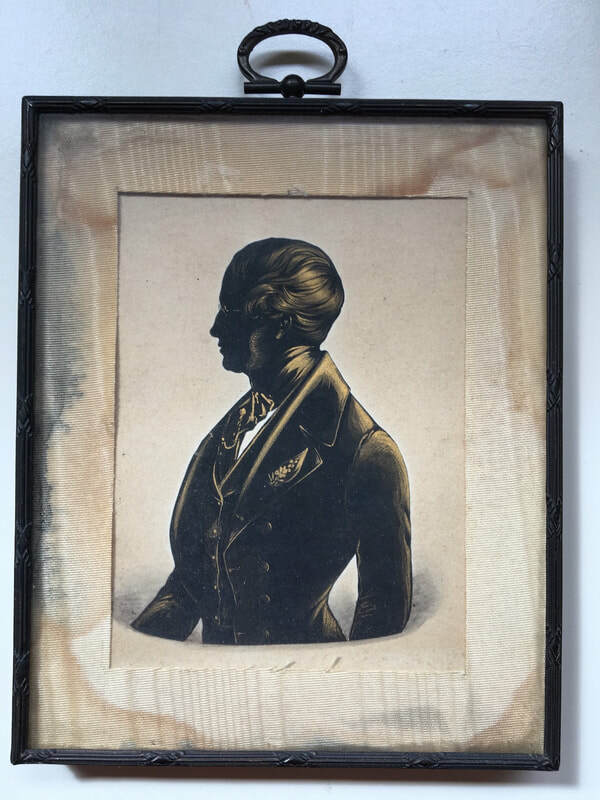 ​In fine brass frames stamped W.W. to the reverse, and with an original receipt from their inclusion in the Society of British Artists exhibition in 1824. 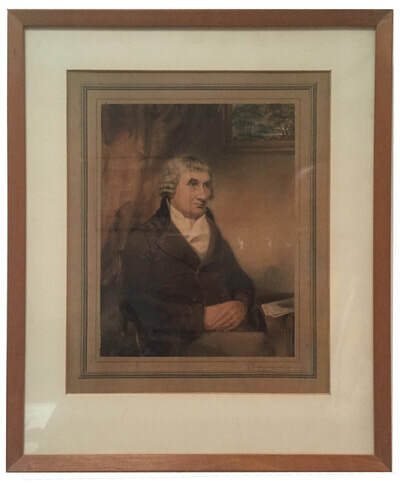 ​John Macarthur of Camden Park / J.B.H. 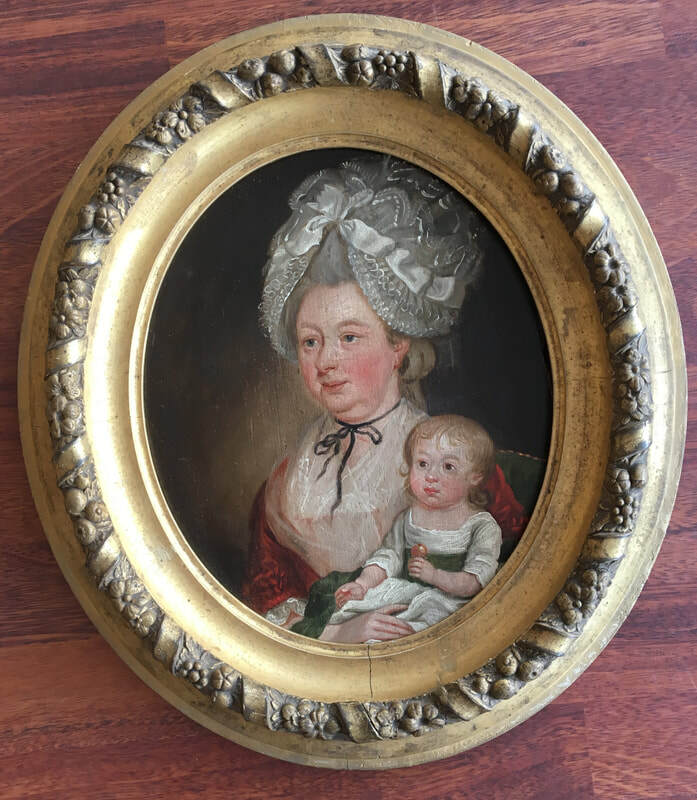 In a gold and blue glass frame with plaited hair enclosed to the reverse. Crack to frame. 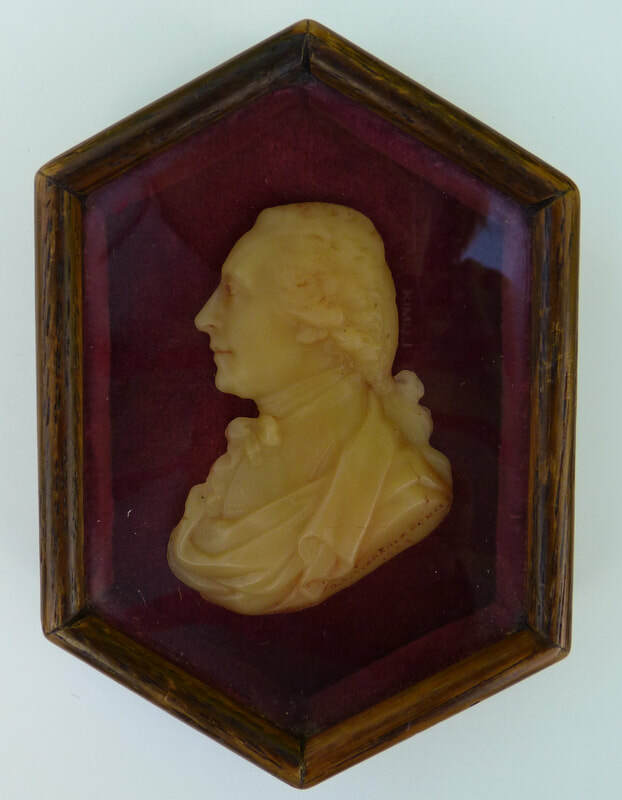 In a leather case inscribed with name to the reverse. Inscribed to reverse: "J. Simpson my Great Grandmothers Brother"
In a pressed brass frame. 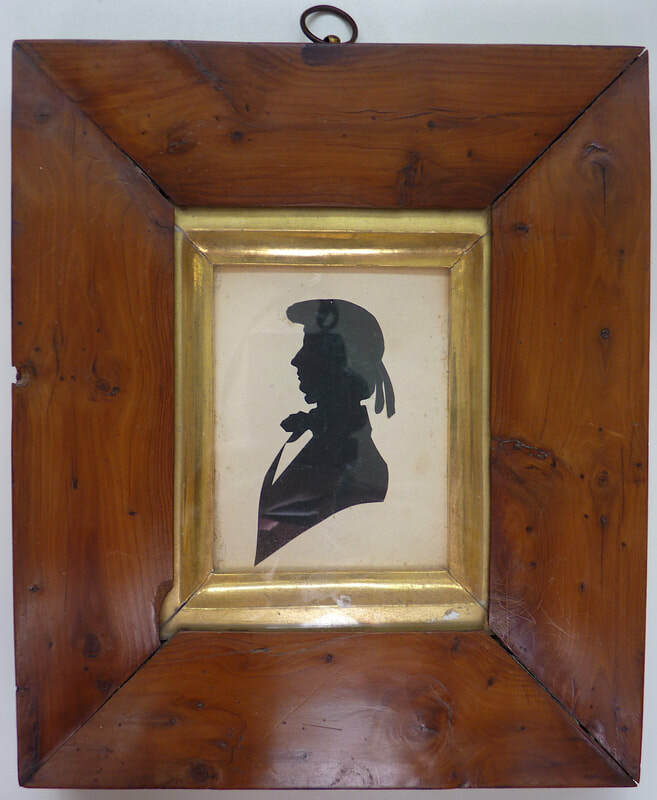 Silhouette in a fine elm or houn wooden frame with sitters name inscribed on the reverse. 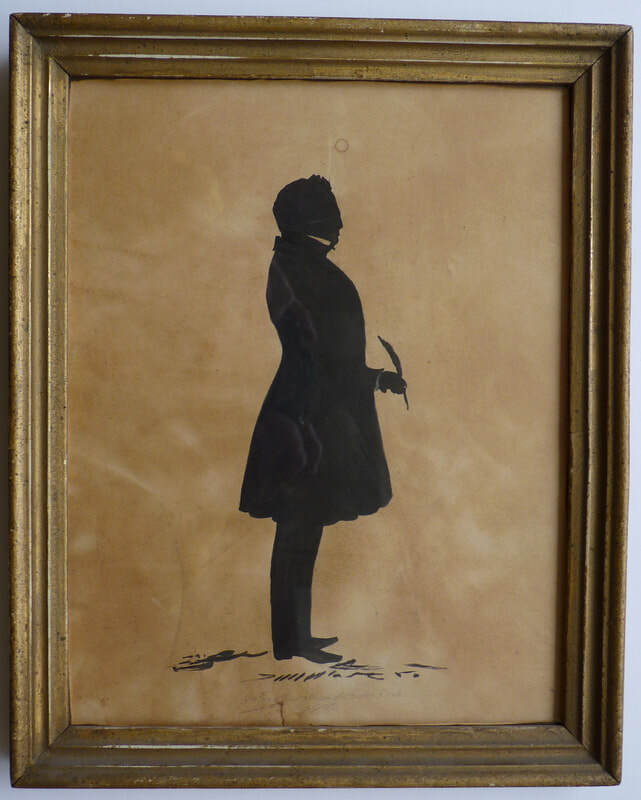 A silhouette portrait, with highlights, of Reverend Davis. 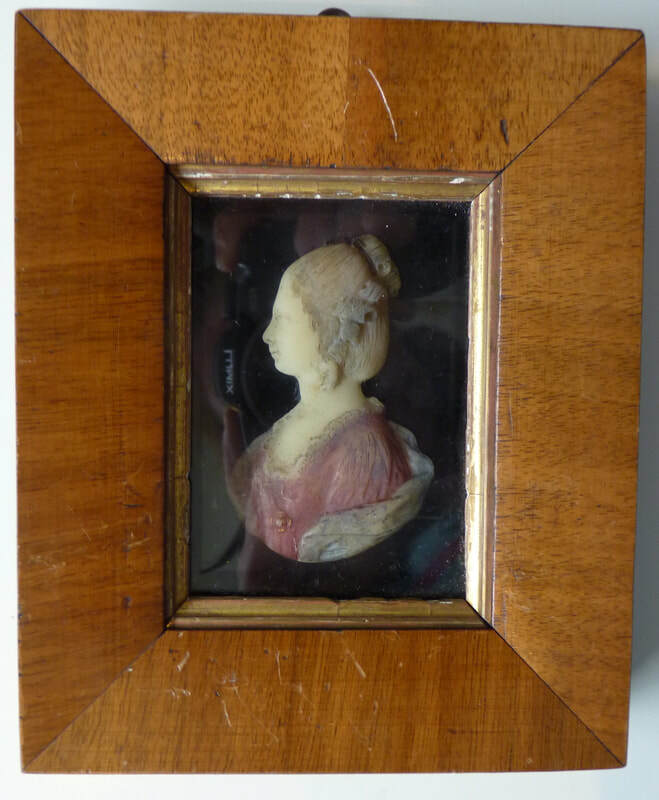 ​In original paper mâché frame. 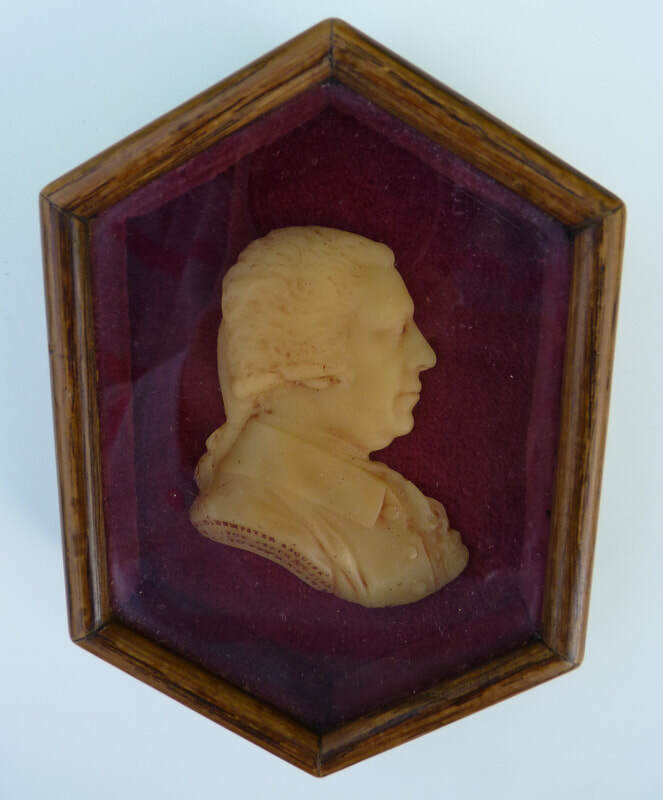 Signed to reverse "Frith Fecit 1841", and inscribed with name. Initialled to the reverse: "W.H. 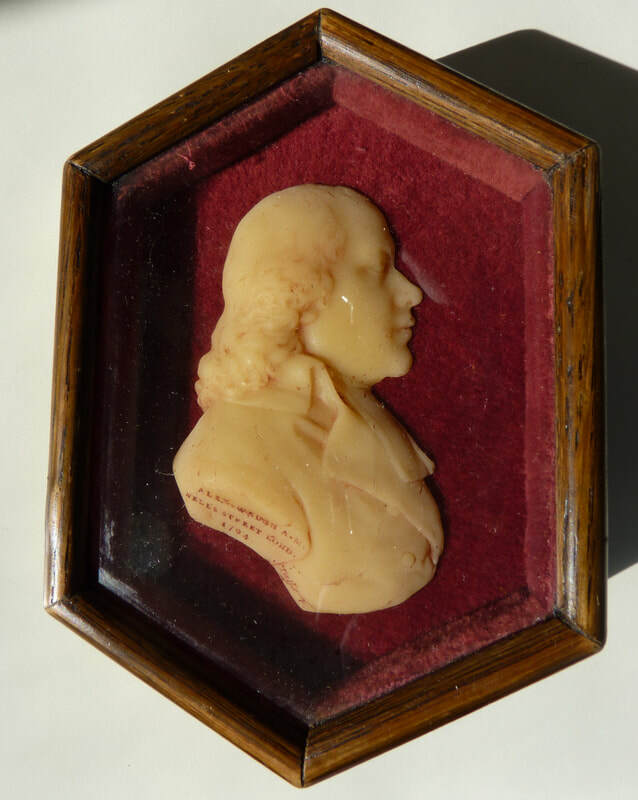 1764"